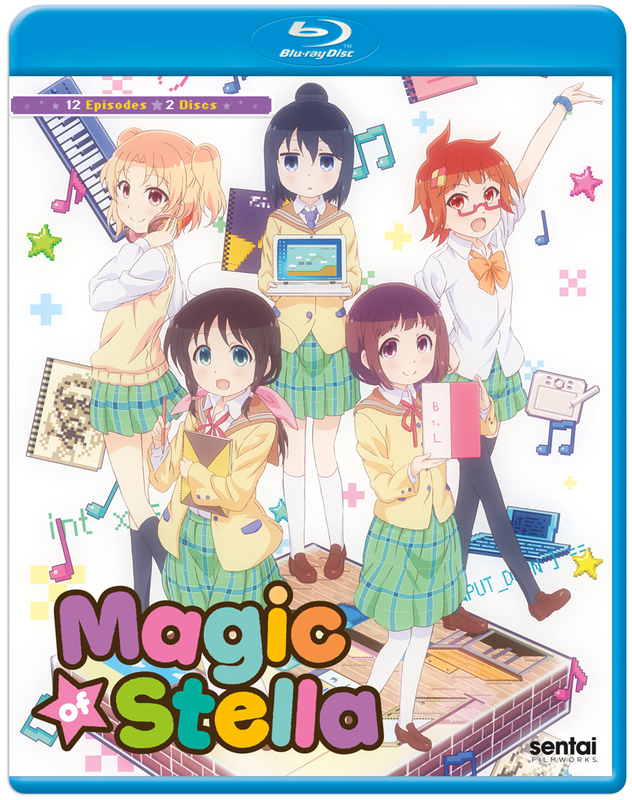 Magic of Stella Blu-ray contains episodes 1-12 of the anime directed by Shinya Kawatsura. Tamaki's really excited about going to high school, but she's not sure what kind of club she wants to join… until she meets three girls who are making their own computer games! Remembering how she loved making board games when she was little, Tamaki takes the plunge and joins the group as their new artist. Now she, programmer Shiina, writer Ayame and composer Kayo are in a frantic race to finish their game in time to show at the big "doujin" conventions. Meeting their deadlines won't be easy, especially since Tamaki has to learn on the job and Aya keeps getting distracted writing steamy love scenes. But where there's a will there's a way, and with the help of a bunch of talented friends, they just might be able to make it in time!